So, I'm finally getting around to finalizing plans for my first build and was hoping to get some input on a design I've been working on. I greatly appreciate the simplicity of the "Square One" Camper, by Trekker. It is really hard to fathom a simpler design than this as, at it's core, it's just a box. 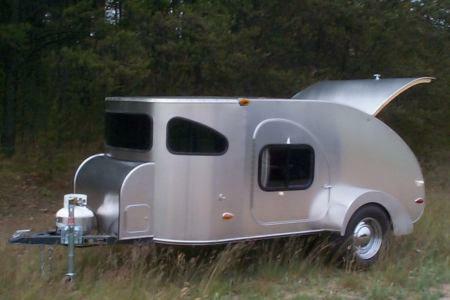 At the same time, I love the look of the Camp Inn "Raindrop" and it's rounded front end. Subsequently, I thought that I could come up with something that combines what I like about both into a single package. For reference, I have a standard Harbor Freight 4x8 trailer and would like to build this to 5x9.5 (5x8 plus a 1.5 foot front curved section. Doable on this frame?